The idea of travelling to India is often exciting, but too often travellers cross it off the bucket list because people fear the dreaded ‘Delhi belly’. I recently returned from a trip in India and can now label myself a ‘survivor’. Here are my top tips of how to avoid getting sick when travelling in India. In India, your hands will work overtime and as it is customary to eat with your hands, keeping them bacteria free is important. But this can be difficult! Wherever you are in the world, the two things to watch out for are money and door handles– both are serious germ collectors. That being said, it is impossible to avoid either! The key is to keep your hands as clean as possible without getting paranoid. Bathrooms, in more rural areas, can be harder to come by and some may not have running water or soap. Never fear – hand sanitiser or antibacterial hand wipes are a handy alternative. I used hand sanitiser, which I hid in my bag and used when I was alone. Use with caution and avoid getting your hand sanitiser out in front of people as this can be seen as rude and the last thing you want to do is insult your hosts. India is a mecca for the curry lover. It can be tempting to dive straight in on day one and order the hottest, tastiest curry you can find. Be cautious. Western food is much blander than Indian cuisine so your stomach will need to adjust. It is very common to experience an upset stomach on your first few days and this is because your body is adjusting to its new surroundings. 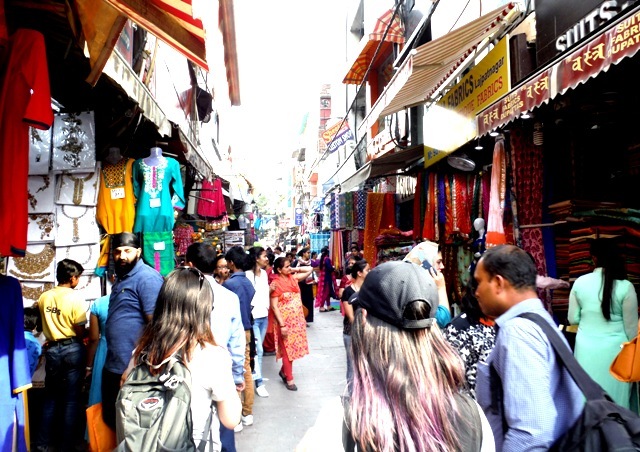 I was lucky enough to be travelling with people who are native to India so they chose restaurants they knew well and when buying street food, they were able to guide me to hygienic stalls. If you are travelling alone, don’t avoid street food as this can often be delicious but do be wary. Ask the following questions and if the answer to all of them is ‘yes’ – tuck in! Is the food fresh and hot? Avoid anything that looks like it has been lingering, especially if it is left exposed to the sun and flies. Buffet style meals can be treacherous because luke-warm food is a perfect home for bacteria to breed. Are lots of locals at the restaurant? Locals tend to know the good places to eat. If you enter a restaurant, that is empty, this may be an indication that it is a restaurant to be avoided. Does it look hygienic? This can be difficult to judge, especially if you can’t see the kitchen, but make sure they area is animal free, clean and take a look what others are eating to make a judgement. Is the food local? If you are eating curry for breakfast, lunch and dinner, it can be tempting to eat a pizza as a refreshing change. This is when most travellers get caught out. You are more likely to get ill from eating western style food in India because less people order it. I am a vegetarian and found it easy eating out as there was a huge variety of dishes to choose from. 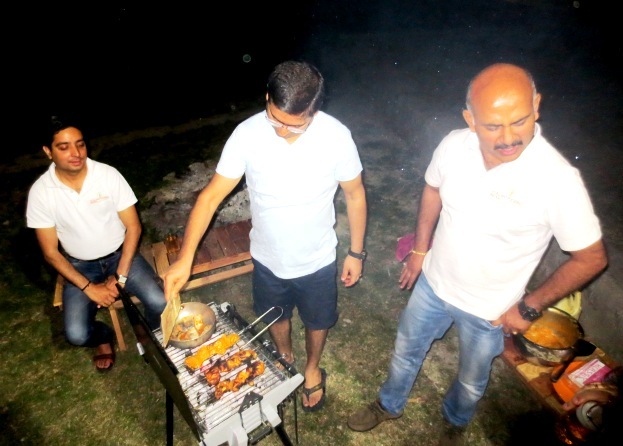 In India, many people are vegetarian and it is a diet they understand well. If you do eat meat, take added precaution because meat is not always stored well and therefore there are higher risks or food poisoning. Water will keep you hydrated in hot weather. I always checked my water had been chemically filtered or I stuck to bottled water. When buying water, check seals on the water bottle have not been tampered with. There are many places to buy water and it is so important, especially in the middle of the day when temperatures can soar! If you do feel dizzy, find shade as soon as you can and drink plenty. Illness loves tiredness. When travelling, your body will be adapting to new surroundings, smells, tastes and this can be overwhelming. With so much to see, it is easy to get carried away, booking tours early in the morning and trying to maximise your days, but be careful not to overdo it. Plan to rest! Make sure that you get some early nights and allow yourself the odd lie in. It is always better to pace yourself then burn out in the first few days. If you don’t have a lot of times in India then try to master sleeping while travelling. Dozing off in the van to the Taj Mahal on my 3 hour journey to Agra enabled me to see the palace early, meaning I could avoid the queues. Fear of illness should certainly not put you off travelling to India. It is a stunning country with so much to see and experience. I managed to return illness free so it is definitely possible. 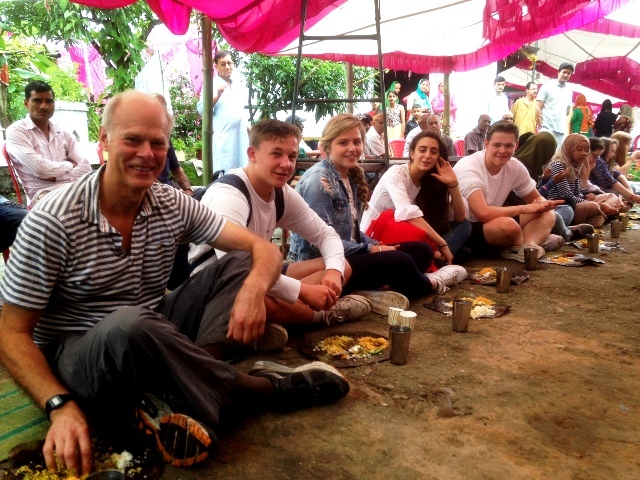 If you are looking for an adventure, check out Oyster’s projects in India.